My book club recently met for a lovely summer dinner, potluck style. The host grilled up some chicken and beef kebobs, had fresh watermelon and a green salad. I made a caprese salad (fresh mozzarella, fresh basil, black olives, cherry tomatoes and salami with balsamic and oil). 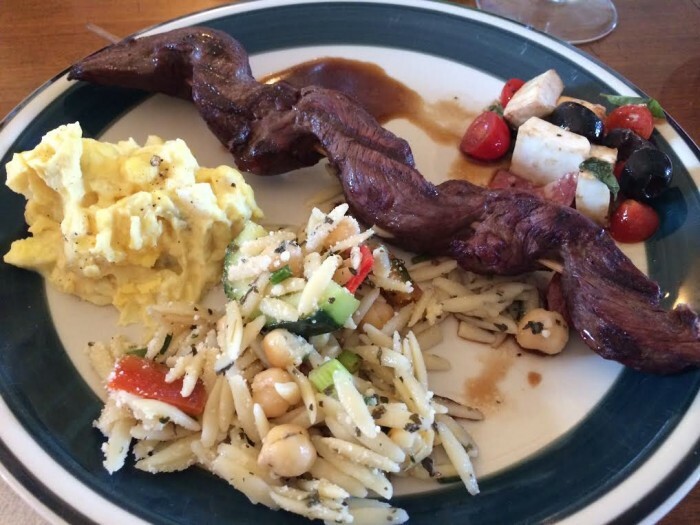 There was a potato salad and an amazing orzo salad. There was even homemade Syrah. Everything was so tasty! 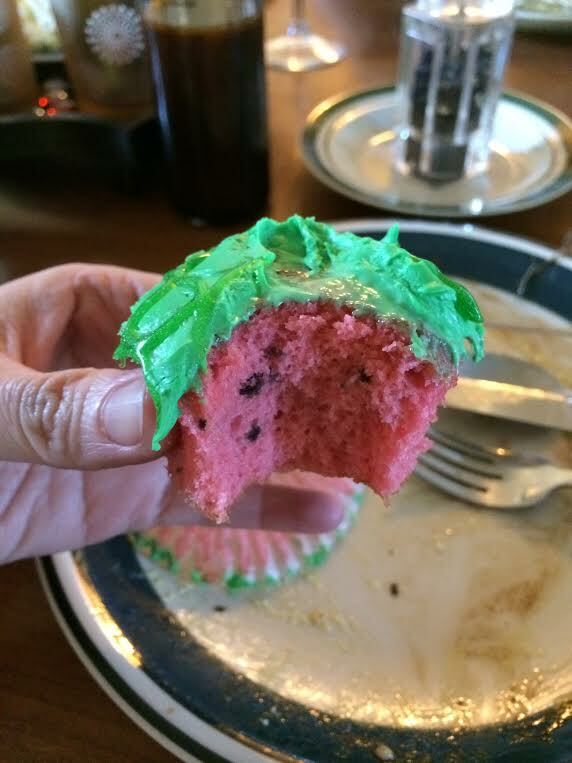 One person made watermelon cupcakes–like they actually tasted like watermelon bubble gum. It was kind of crazy. My friend’s house was a lovely oasis. She’s clearly worked really hard on her garden. Her house is on an acre and there’s trees and beautiful pathways winding through the garden. It was absolutely gorgeous! 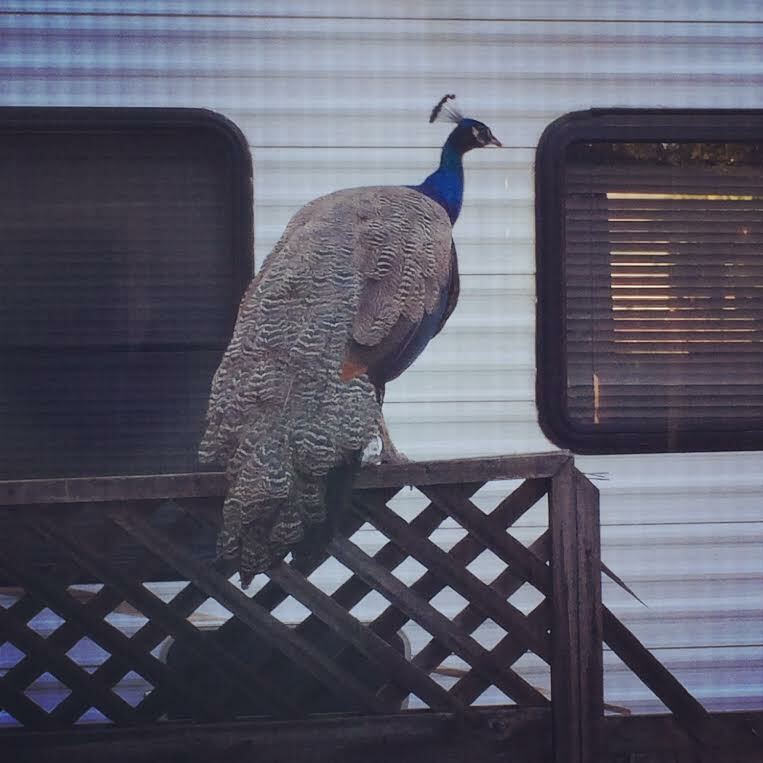 They even have wild peacocks roaming around their neighborhood! How crazy is that? 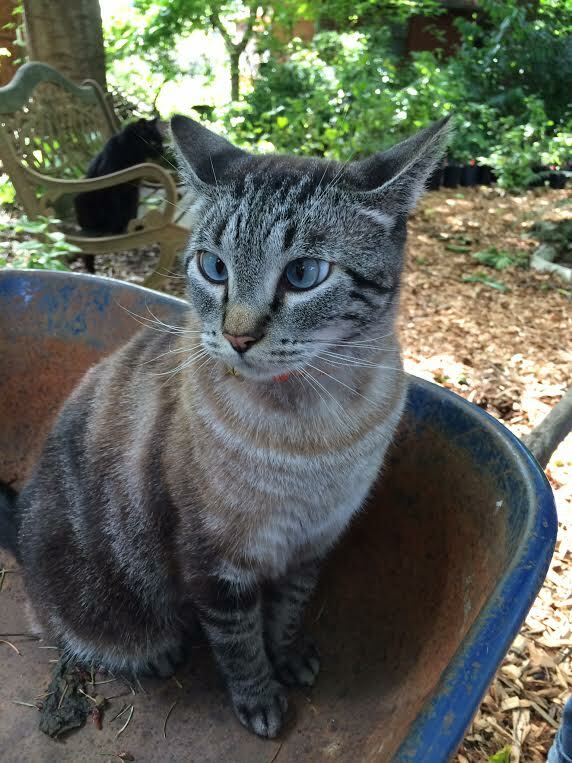 Her cute cats were meandering around the yard while we chatted about our book. Unfortunately the book we read for the month was NOT my favorite. I hated it and actually couldn’t finish reading it. We chose “Silas Marner” by George Eliot. I like a lot of the Classics–Oscar Wilde is one of my favorite authors and Wuthering Heights is in my top 5 list. However, Silas Marner was so hard to read. It was a combination of writing style and format (humongous, long paragraphs that were often pages long, and dialogue that didn’t seem to move the story forward in any way). Despite not liking the book we still found topics to talk about for three hours! This is the second book in the Lacey Flint series. The series takes place in London and I love the characters. 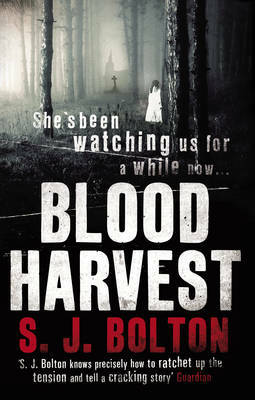 This second book was even better than the first and the story premise was chilling! My only complaint was that I hated the last chapter and how it left off. I felt like it needed another chapter to wrap things up and explain a few things! 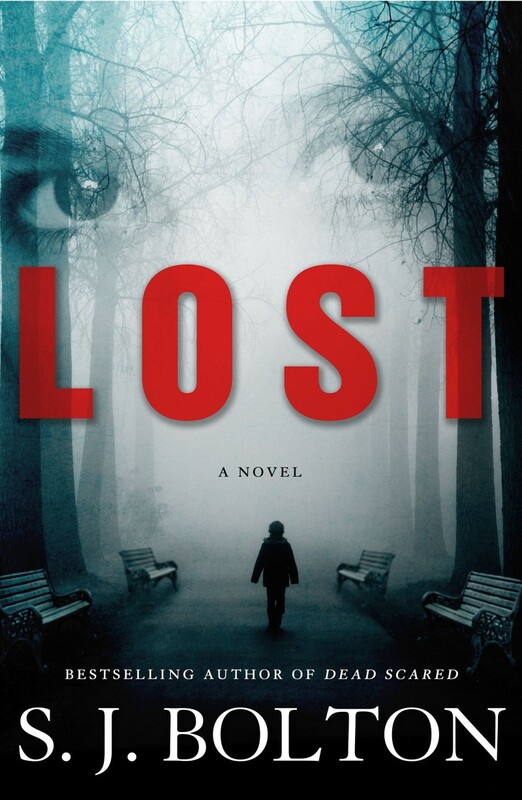 This is the third book in the Lacey Flint series and while I hated how the 2nd book ended, this book picked up where it left off and explained a little bit of what I felt was missing in the other one. It kept me on the edge of my seat the whole time! I’m always wary of books that have flashbacks or several timelines going on at once. It’s rarely done well and just feels forced or clunky. This wasn’t the case. The flow was nice and it never felt awkward. I was equally interested in all three time periods that were telling the story. The mystery unfolded in a nice way. Good book! I’m currently catching up on all her books. This one is probably one of my favorites of her books. The books that aren’t part of the Lacey Flint series are stand-alone books and usually take place on English/Welsh Moors. There is nothing creepier for a setting. It makes me think of Wuthering Heights; but it’s still a great setting for creating anxiety and dread in a horror book. This book in particular was VERY VERY dark. The last few chapters were so gripping and so crazy I couldn’t put the book down. This book is about Edward, recently widowed, dealing with the grief and trying to move on. Despite the topic, it wasn’t a depressing book at all. The general mood was of sadness, but in a healing way. His adult step-kids decide after a year and a half that he needs to meet someone new so they put out a personal ad for him. The book is about his journey to find out who he is without his wife, coming to terms with the grief and meeting new people. It was such a charming, uplifting book and I was 100% satisfied with the story and the characters! Loved it! I hope you enjoy some of these books I’ve recommended. Several were good, fun “summer” reads. What a cute kitty! I’m gonna take a close look at these books. Now please pass the cupcake. I don’t care if it’s already bit into. Just pass it over here. Haha! It was a very interesting cupcake concept….! Wow. Now my mouth is just watering.